BECIL Jobs Recruitment Notification 2018.Broadcast Engineering Consultants India Limited, BECIL inviting applications for the positions of patient care manager, patient care coordinator, driver and ambulance paramedics/ EMT vacancies.Interested and Eligible candidates can apply for the positions. Last Date for Submission of Application is on September 17th, 2018..
EMT-basic/EMT advanced certification holders can apply for ambulance paramedics/ EMT post. Full time bachelor degree holders can apply for PCM and PCC posts. Maximum age for PCM post applicants is 40 years, PCC is 35 years, drivers is 60 years. Selected candidates as PCM will get pay of Rs.30,000/- per month. Selected candidates as PCC will get pay of Rs.18,332/- per month. 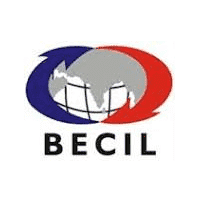 Mode of applying for BECIL recruitment is through offline mode by 17th September 2018.
http://www.becil.com/ is the link to download application form and send to below given address. BECIL’s Corporate Office at BECIL Bhawan, C-56/A-17, Sector-62, Noida-201307 (U.P).